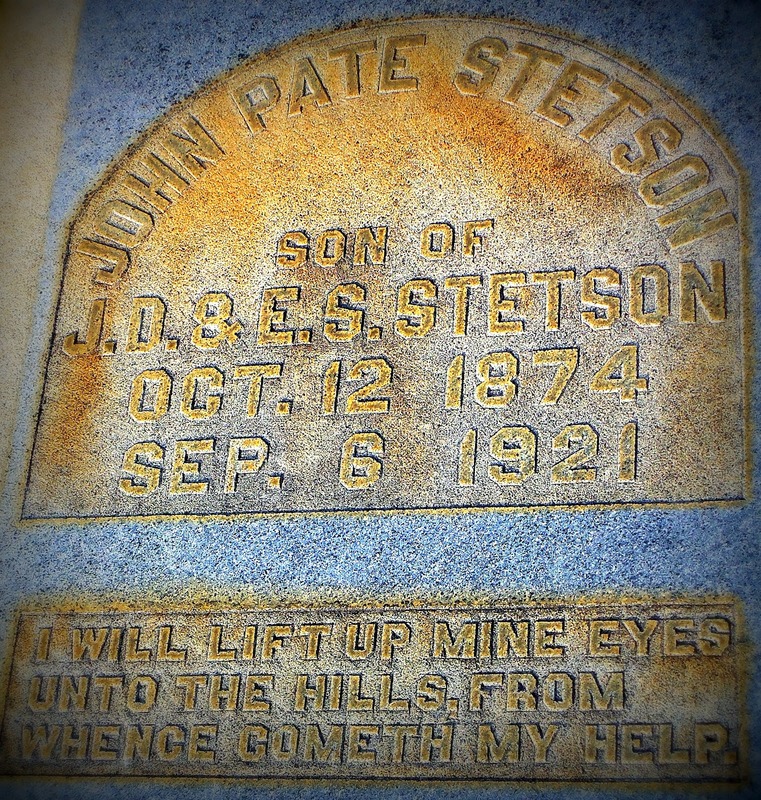 John Stetson died in Asheville, NC, but was not buried there. He was brought to Macon, Georgia and interred in the family plot at Rose Hill Cemetery. You will find his obituary at the Rose Hill Cemetery blog.